The 8th edition of Digital Media India conference for news publishers, which is scheduled to be held from February 19-20 at Hyatt Regency in Mumbai, is bringing ideas on digital trends, technology and innovations and revenue strategies. 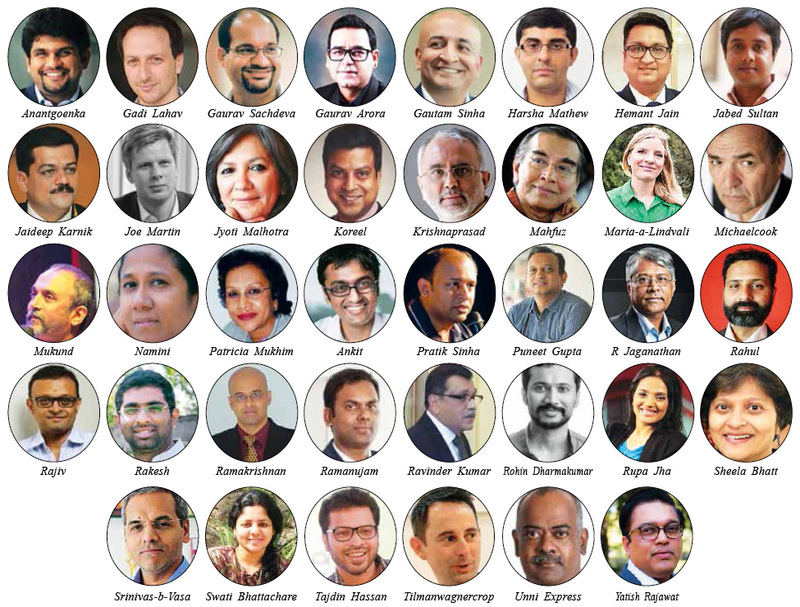 For the first time, Newsroom Summit India 2019, powered by World Editors Forum India Chapter, will be part of the conference. Discussion at the conference will revolve around issues ranging from digital transformation, need vs want, social media impact on journalism, gender parity in newsroom, audience engagement and digital revenue models. Some of the confirmed speakers include: Gaurav Sachdeva, Chief Product Officer, Singapore Press Holdings, Singapore; Gadi Lahav, Head of Product, FT.com, UK; Michael Cooke, Former Editor, Tornoto Star, Canada; Mukund Padmanabhan, Editor, The Hindu, India; Ravindra Kumar, Managing Director & Editor, The Statesman, Kolkata, India; Sonia Singh, Editorial Director, NDTV, India; Yatish Rajawat, Editor-in-Chief, DNA, India; R Jaganathan, Editorial Director, Swarajya, India; Patricia Mukhim, Editor, Shillong Times, India; Harsha Mathew, Asst Editor & Director, Malayala Manorama, India; Ankit Dhadda, Head of Product and Marketing, Bloomberg Quint, India; B Srinivasan, Managing Director, Vasan Publications, India; Hemant Jain, Digital Media Head, Lokmat Media, India; Rakesh Dubuddu, Founder, Factly, India; Mohammed Tajdin Hassan, Head of Marketing, The Daily Star, Bangladesh. Opening session of Digital Media India 2019 will have the session on ‘Editors in the Driving Seat: A Perspective’, with keynote speaker Michael Cooke, Outgoing Editor, Toronto Star (Canada). Go Local—this is the way to drive revenue with local communities. As technology makes inroads in every field, such as media, healthcare, transportation, food, just to name a few, consumer attention span is ever reducing with several products competing for that mind-share. More than 40 percent digital revenue for publishers is estimated to come from programmatic advertising and it is growing year on year. However, concerns over what inventory to put in programmatic in order to maximise the revenue remain a challenge. What are the challenges and insights to go programmatic? A session will be on this with speakers: Gaurav Sachdeva, Chief Product Officer, Singapore Press Holdings and Ankit Dhadda, Head, Product & Marketing, Bloomberg|Quint. In this session, a panel discussion will be on relevance of Need vs Want—tackling the dilemma to consider the media’s focus on what people should know or what they want to know. The panellists in the session will include: Mukund Padmanabhan, Editor, The Hindu, THG Publishing (India) and Unni Rajen Shanker, Editor, The Indian Express. BBC launched four newsrooms in India involving setting up of new teams and taking in existing hands. The stories are created keeping in mind the local taste and flavour unique for every language. How did they do it? In this context, Rupa Jha, Head of Indian Languages, BBC India, will talk. This will be followed by a session on ‘Digital Subscription’ revolving around driving reader subscription via addressing user needs. Speakers in this session will include Gadi Lahav, Head of Product, FT.com (UK) and Srinivasan Balasubramanian, Managing Director, Vikatan Group. The next session will be Panel Discussion-1 on ‘Gender in the Media’ in which discussion will be over gender parity, sexism and harassment by panellists: Jyoti Malhotra, Editor, National & Strategic Affairs, The Print and Sheela Bhatt from The Indian Express. Panel Discussion-2 will be on social media impact on journalism, in which moderator Yatish Rajawat, Editor in Chief of DNA, will be accompanied by two speakers: Jaganathan R, Editorial Director, Swarajya (India) and Harsha Mathew, Asst Editor & Director, Malayala Manorama (India). The speakers will narrate how the invasion of social media in newsroom has changed the way journalists work. Listen to the story from a ‘subscription only’ site that vertically segments the audience and presents contents that appeal to the readers who pay for it. It publishes just two stories a week, well narrated and analytical, and subscribers wait to read them. Keynote speaker in this session will be Rohin Dharmakumar, Co-founder & CEO, The Ken. The session will have a panel discussion on ‘Digital Strategy – How Do Ad Agencies Plan Their Digital Strategy for Clients’ with speakers such as Krishna Prasad, Former Editor-in-Chief, Outlook (India) and Anant Goenka, Executive Director, The Express Group. In the follow-up session, co-founder, Altnews, will speak about fake news and the way to encounter it. Mobile first! Is it a cliché? For years the ‘first’ approach has evolved over the years. From digital first to mobile first, it has taken different shapes and approaches in the news media industry. What worked the best? Revealing experiences from newsrooms, speakers in the session will include Jaideep Karnik, Content Head & Editor, Amar Ujala Digital. In context of this era of mobile platform, AI (Artificial Intelligence) is the new norm in reader engagement. Highlighting this digital news trends, Ramanujam Pobbisetty, Director of Enterprise Sales, comScore Inc, will analyse this digital news trends with a comScore Inc case study. Tailored front page news experience specific to the user needs, Schibsted Media has found the way by using machine learning combined with human judgement. This session on this topic will have speaker Maria Å Lindvall, Product Manager, Schibsted Media. This session will also have a discussion on ‘Using Artificial Intelligence’ to monitor social media trends and tell the stories. In the follow-up session, the discussion will be on ‘investigative journalism’. Investigative journalism is both high interest and high risk. If done well, it can bring immense benefit and raise the bar of storytelling. In this context, this session will have a ‘case study’ from Sri Lankan newspaper Wijeya Newspapers (WNL). Solutions journalism at The Guardian— what is it about and how is it practiced? ‘Panir Golpo: The Tale of Water’ is the award-winning community engagement project from The Daily Star (Bangladesh) that brought awareness about water borne diseases and helped to mitigate the disease. 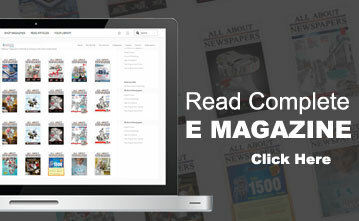 The project brought readers close to the brand and also increased the page views resulting in better advertising yield. Hear the story in this session from speakers: Rakesh Dubbudu, Founder of FACTLY and Namini Wijedasa, Assistant Editor, The Sunday Times (Sri Lanka); Tajdin Hassan, Head of Marketing, The Daily Star (Bangladesh). The next session will be a panel discussion on ‘Indian Language Web’. The scale and growth of online is expected to come from local language users. What are the challenges of Indian language web and how are Indian language publishers addressing them? Answering to this, this session will have key speakers: Hemant Jain, Digital Media Head, Lokmat Media (India); Koreel Lahiri, Program Director, MDIF South Asia. From good to great, how enterprising organisations transform themselves and this will be the point of discussion at the concluding session. It will bring the (not-so) secret ingredients of DW Innovation. Based on two current projects from DW Innovation’s portfolio, focusing on fighting misinformation (Truly Media) and personalised news content (CPN), Tilman Wagner Innovation Manager, DW Research & Cooperation Projects, Deutsche Welle (Germany), will present the inner workings of the department at Deutsche Welle, giving insights into the team structure, ways around the budget trap and how to best manage the last mile towards implementation.